About four years ago, Carol had a close encounter with a large stag in the wood that is in front of the house. She stalked and shot it, and it went down but then bounced up and disappeared. It could not subsequently be found. In the following years it was occasionally glimpsed but never seen properly until last year it suddenly appeared in front of the house with hinds. That was when I took the picture above. 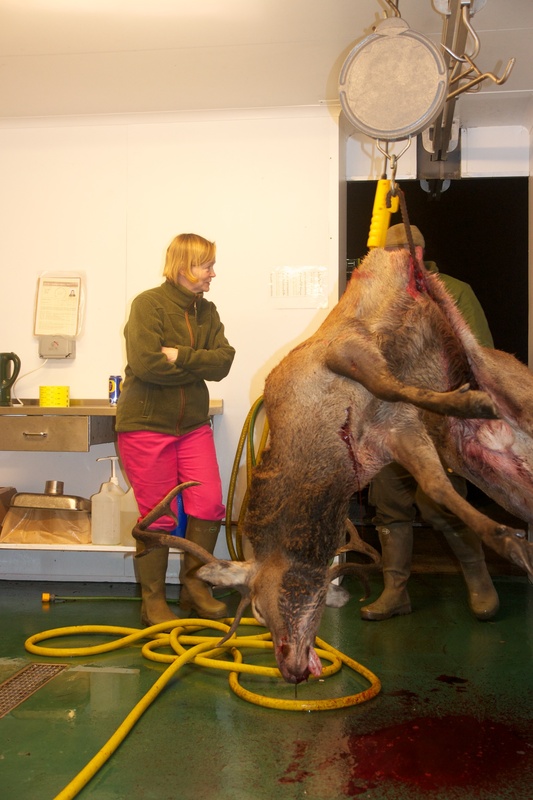 We know it was the same deer because of the very distinctive long forks on both antlers, and the width of the antlers. We called this stag “the ghost” because it was so rarely and elusively seen that you sometimes doubted it existed at all. Or wondered whether it had crossed our boundary and been lost elsewhere. It was not shot last year and at the end of the rut it returned to the wood and was only seen once, in March, until it appeared again yesterday. This was the opportunity for Carol to complete her earlier task. As you can see below, she succeeded. The ghost was seen just before 7.00pm, after we had already finished a good day of stalking. But nothing daunted she headed out again. And no, she did not shoot in pink trousers! 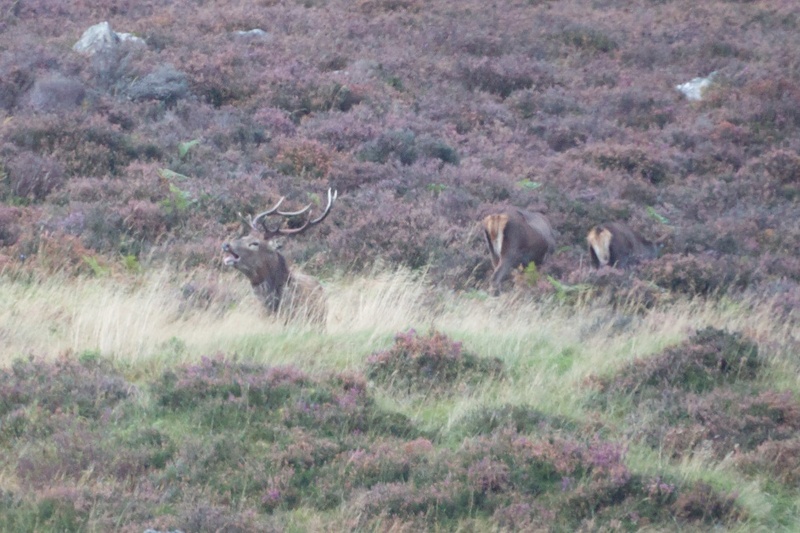 This entry was posted in Uncategorized and tagged Croick, Deer, Scotland. Bookmark the permalink.